Finland is already recognized as a leading country in bioeconomy. The results of VTT’s recent study show that there is still a lot of untapped potential in utilizing our forest and agricultural resources. Finland still has an advantage compared to many countries in developing the bioeconomy. On top of our natural resources, we have an industrial base already mobilizing and refining the resources, and above all, we have the intellectual capacity to develop new, innovative products and services. Everybody is looking for short-term wins, but I must emphasize that bioeconomy development is a long-term process, and entering of new products into markets is based on years or even decades of intensive research and development. Hence, it is of paramount importance to invest in all stages of innovation from education all the way to commercialization, otherwise we will lose our innovation capacity and let others reap the benefits of an advanced bioeconomy. In addition, collaboration with research, companies, and other stakeholders is critical in creating the new ecosystems in bioeconomy. Especially forest – but also agricultural products industries – are going through substantial transformation due to major changes in global markets driven by demographic changes, population growth and increased GDP, especially in Asia, in addition to climate change and natural resource concerns. It is evident that well-positioned industries and companies can expect demand to grow for those products that enhance sustainable development of our environment and well-being of people. The results of this report affirm the views that the current industrial production systems in Finland have the flexibility to bring more added value. The immediate benefit comes from further processing and refining of agricultural and forestry raw materials and their intermediate products, like cellulose, or side streams into higher-value products. This is where small and medium enterprises could have a significant role. Together with the bigger producers and research partners, they are already starting to form business and innovation ecosystems that will develop and bring the new products to the markets. At the same time, we are witnessing the manufacturing industry transitioning from the era of mass production into the era of smart production, where physical production merges with the opportunities created by digitalization. This change will take place in the bio-based sectors, too. What new business this will bring is still unknown, but we cannot let this opportunity slip through our hands, especially when it combines the very strengths and capabilities of Finland. 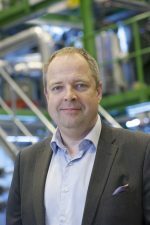 The author is Jussi Manninen, Executive Vice President, Solutions for Natural Resources and Environment Business Area, VTT Technical Research Centre Of Finland Ltd.